Sun +4+2+2+2= 10 = pure delight! Ah… perhaps this isn’t a familiar equation but this isn’t a familiar sight in my garden either. 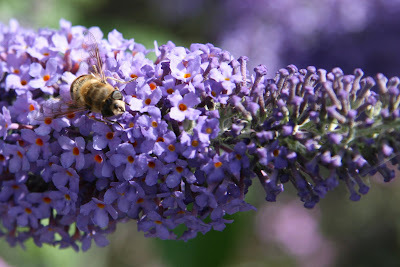 Buddleja is a new addition to my front garden (just a couple of years ago) and it definitely gets full marks for performance! So far, at the same time, we’ve seen four Painted Ladies… I’m hoping this number will increase yet! Two Small Tortoiseshells, two Red Admirals and two Large Whites make up this modest but record list for butterflies spotted in my small front garden. 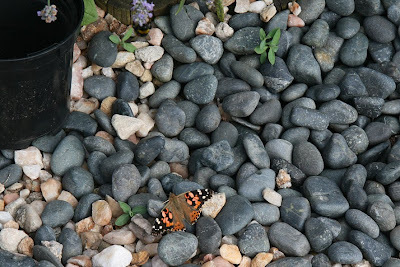 Sun kissed gravel and stones are also a very popular spot for the butterflies there. 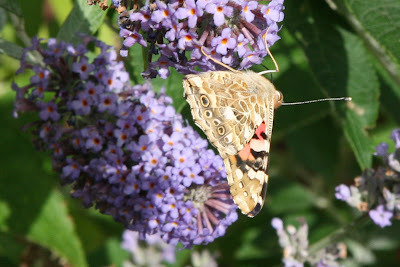 I don’t know, but the colouring of some of the Painted Ladies is looking a bit richer than usual to me. What do you think? Oh… and you can see seedlings of Euphorbia coming through the gravel too… I’d guess and considerable larger count there! 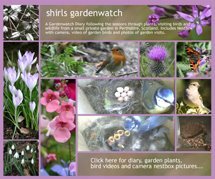 Biology… observations in bird behaviour in the garden over the summer. 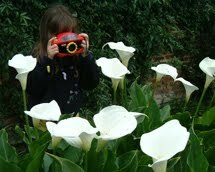 Homework incomplete due the lush foliage in back garden causing problems with visibility. A juvenile Robin has been seen but photos are not yet available. House sparrows have increased in numbers quite significantly in the last week. Fat balls are particularly popular. Science… look to the skies. Successful viewing of the Perseid meteor shower on the 13th of August. No photos or videos unfortunately. 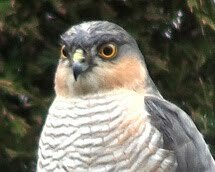 First ever sighting from the garden… amazing! Surprised at the speed the meteors travelled. Finally, Creative Arts… a short film. 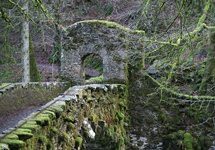 Subjects include family life, the underground and patience. Entertainment value required. 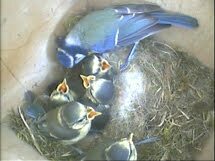 We walked under the nest not knowing they were sitting quietly above us just under the domed roof. 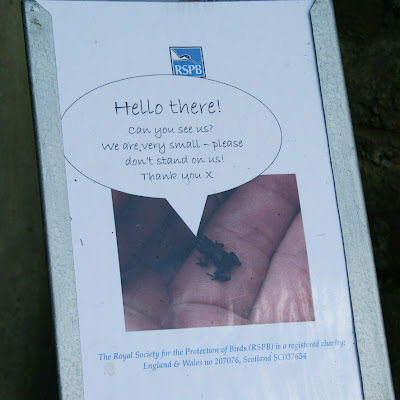 We never spotted the tiny frogs either on our way out either. Walking down the steps on our return we spotted a little movement on the ground... then the tiny frogs. Quietly watching two frogs we were startled by the noise of chicks being fed! Had we not stopped to watch the frogs we would never have seen the young swallow chicks! Hedgehog house with camera has not shown significant disturbance on floor to suggest any enquiries. Re-think considered on location. Photos above were taken in my garden with the exception of the frog poster. 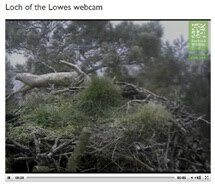 The videos above were taken at RSPB Vane Farm. You definitely deserve an A+ for your homework Shirl. Poor little froglet has a veritable mountain to climb. Brilliant video of the Swallow chicks. No takers on my hog nest yet. Like you I was wondering if it needed to be in a different position. Great to see you have a camera installed. Yes, I’ve had a camera in this House since it went out into the garden and have been monitoring it by taking still shots every few days and comparing the patterns on the floor. Another spot the difference game! Had one curious sighting… a dead mouse lying on its side. Don’t know what happened there. Hi again Shirl. 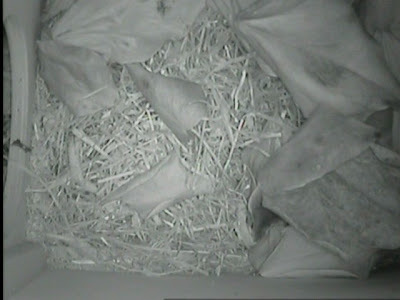 I've been doing the same thing with still snaps of the inside of the hedgehog house looking for any changes. Fingers are crossed. Hope the hedgehogs find the house to their liking. You get an A+ for your homework. I do hope you get Hodgieheggies using your house soon! Is it Back to school time already? You are well prepared! 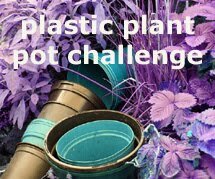 A very imaginative post Shirl and lovely photos. 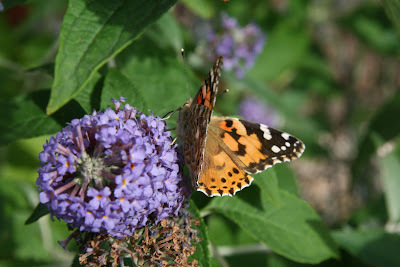 Nice to see the butterflies, my Buddleia has long since finished flowering! It is amazing how tiny those froglets are, the one I encountered on one of my previous posts was so small I really thought it was a (small!) spider at first! John – Yep… it’s the only way to monitor this for the moment isn’t it. Just had a look in my box tonight (7.15pm) and it looks pretty certain a hog has been in! I’ve left little trails of crushed peanuts and sultanas around the area but two nights ago (in the rain) I tried mealworms as you do. I am guessing they got a passing hogs attention! I’ll add more tonight and have the camera on live to watch inside. Too much excitement for one day! !